Nowadays, one of the fashion trends is the classic colors which are getting revived day by day. To be more specific, the classy black and white colors are appearing a long time of desertion. Such colors become fashion trends as people start to wear them again. Colors affect our mind and reflect a certain time of period even if it has been passed over decades. The white and black become predominant when we wear Abayas and veils. Mixing those two colors gives a fascinating reflection either at special occasions or your workplace. Also, it makes you look attractive. It is very popular to see black and white in occasions like an embassy event, conference, graduation and others. We can also wear them on daily basis, maybe when we go to college, work or a meeting. It makes you look elegant and gives a sense of seriousness and respectability. White and black jewelry always gives a classic appearance and sometimes comes in very modern design. The first thing that comes to mind are diamonds because it has an awesome combination of those two colors which makes it look beautiful on any skin tone. Of course not everyone is able to afford it but we still have so many options such as the pearls, sapphires, topaz and so on. 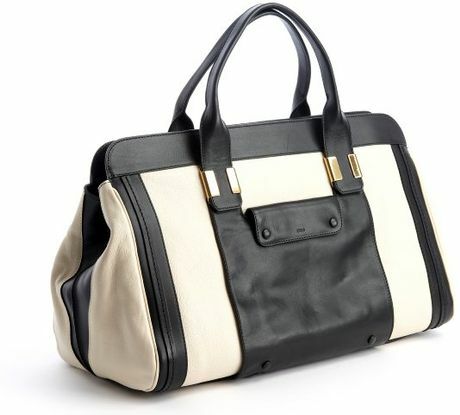 Black and white bags always catch our attention, as they are pretty popular and stylish. It is the easiest choice to opt for when we go shopping because we can find it everywhere. Also, you can choose a mutual color for bag and shoes to avoid spending hours looking for the same or complementary color to look presentable. If you have any other suggestions on how to revive black and white, you can share them in the comments below!